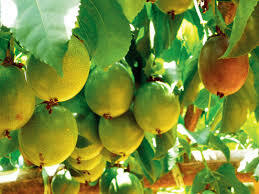 Several years back, Republic of Kenya was among high producers of passion fruits, however overtime production has stagnated. however, we’ve seen improvement in sweet yellow selection production since 2011 when it was introduced and it’s currently wide fully grown. This is often as a result of its proof against bacterial wilt and woodiness. Most farmers grow the yellow and purple varieties. Yellow is good for processing while the other variety is good for fresh juice extraction. This has boosted the production cycle that is now two years yet our competitors like Zimbabwe and South Africa take five years. However, our average production is still 3.3 metric tonnes (MT) per hectare compared to 8 tonnes per hectare for other nations. According to HCD, in 2015, total production stood at 46,628MT but this fell in subsequent years to 31,571MT on average. The low production is due to pests and diseases and reliance of rain-fed agriculture and farmers are not providing enough nutrients to grow to optimum. Woodiness disease is a major hindrance to the production of the fruit and is characterized by the crop’s leaves turning yellowish. It is a viral infection that occurs in cooler areas or seasons, with symptoms including one getting malformed fruits with hard rind producing no pulp. These cannot be sold in any market. Since 2011, there has been a number of varieties released by Kenya Agricultural and Livestock Research Organization like KPF 8, KPF 11 and KPF 12. These varieties can withstand pests and erratic weather patterns. But there is also a purple variety called Esther, which is bigger, sweet and promises better yields. Most farmers are yet to grow it. The variety takes time before it shrivels or loses moisture compared existing ones. Various markets normally set requirements for active ingredient for a specific crop. The challenge has been that we don’t have appropriate chemicals for use on the crop. There is only one herbicide and one pesticide approved by Pesticide Control Board (PCB) for use by farmers. However, there are a wide range of pests such as white flies and mealy-bugs that attack this crop. Export markets such as the Europe Union require that the use of these products must be registered and approved. So, the challenge is that if farmers use a pesticide that is not within those approved, then automatically they are not conforming to the set requirements. Secondly, by default the residue level is set at 0.01, (which is level set for those products that have not been approved). So, if they spray using a pesticide that is not approved, it is detected immediately and the produce intercepted. Most exporters have been unable to export because they fear that their produce would be rejected by the EU market. Yet, spraying to kill pests and diseases is inevitable because of the tropical climate we live in. The government responsibility is to protect farmers and the PCB is currently working to correct the situation. We are also working with the competent existing horticultural structures to assist farmers comply with market requirements not just for the EU, but also American, Australian and Oman market that have stringent measures. Most smallholder farmers rely on rain-fed agriculture so that when the rains fail, you get small sizes of fruits that are rejected in the export market. Counties should support farmers by developing irrigation agriculture to ensure the quality of the produce is improved. HCD is encouraging farmers to work in groups. They also encourage them to grow certified seedlings from nurseries licensed or registered by HCD or county governments. In addition, they also follow the contractual agreement between farmers and an exporter as a witness to ensure that they are not exploited. It is a requirement that the exporter must also have a certificate from HCD and a plant health certificate from Kenya Plant Health Inspectorate Service before exporting produce.